This past weekend four new members joined the Alliance Top Gun Wrestling Tournament Hall of Fame. Congratulations to our newest inductees!! Mike Brown was a sports writer at The Alliance Review for 45 years, including 25 as sports editor, before retiring in 2017. During his time there, he won 23 individual writing awards from the Associated Press and Ohio Prep Sports Writers' Association, including for best game story, best investigative story and best feature writing and has done hundreds of articles on the Top Gun Tournament. During his time as sports editor, The Review sports department was also recognized 10 times by The Associated Press for Best Daily Sports Section and is department covered every Top Gun Tournament since its inception. An Alliance-area native, Brown was on the NE Inland District Board for 30 years and is a past recipient of the Ohio High School Athletic Association's Sportsmanship, Ethics and Media Award. In 2017, he was inducted into the Ohio Prep Sports Writers Hall of Fame. Mike and his wife, Maryann, have been married for 33 years and have grown sons. In retirement, Mike works for the National Football League's Cleveland Browns and still writes part-time for the Lisbon Morning Journal, Salem News and the East Liverpool Review. American and, as a senior, was the Dave Schultz award winner for the nation’s top high school wrestler. He continued his wrestling career at Penn State where he was a 4x All American, 2x National Champion, and 2x Hodge Trophy winner for the nation’s top collegiate wrestler. David continues to train and compete for the United States in international competitions around the world. 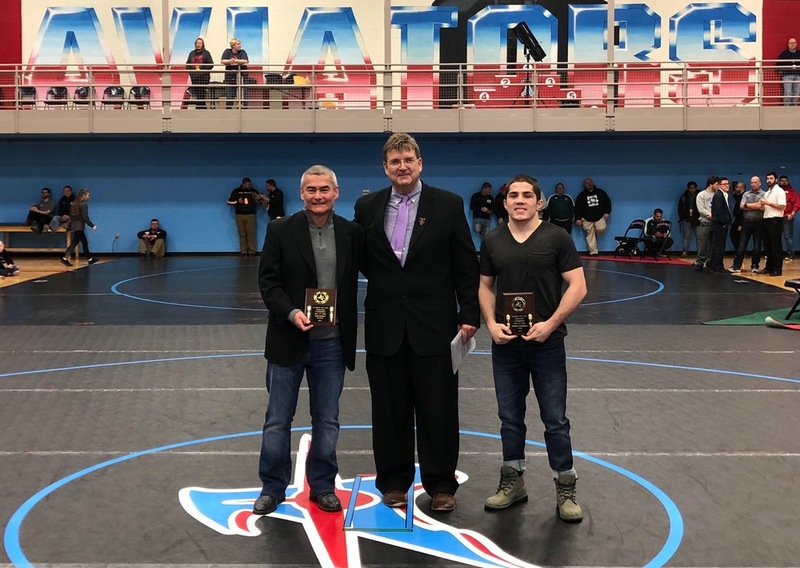 Nathan Tomasello is well-remembered by wrestling fans from all parts of Ohio for his career at Cuyahoga Valley Christian Academy and THE Ohio State University. Nathan was a 3x Top Gun Champion and a 4x State Champion for C.V.C.A. Nathan continued his wrestling career at The Ohio State University where he was a 3x Big 10 Champion, a 3x All-American, and the 2015 NCAA National Champion at 125 pounds for the Buckeyes. Nathan continues to train at the Regional Training Center in Columbus and represents the United States of America in international competitions.